Cake for breakfast… heck yes! 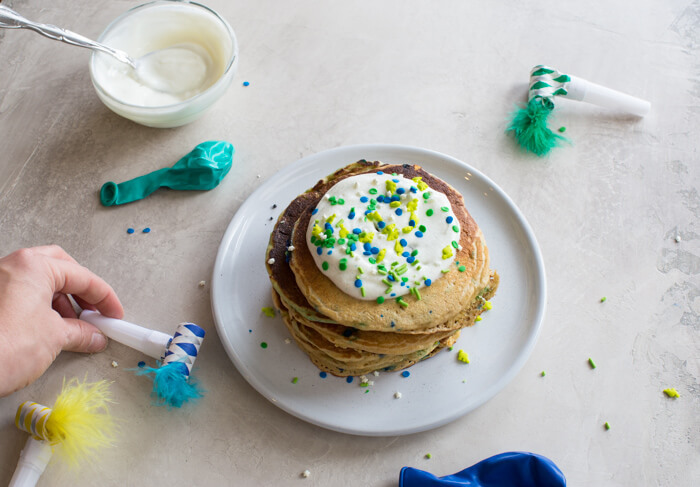 Birthday Cake Pancakes that tastes like you’re licking cake batter right out of the bowl… with sprinkles of course. 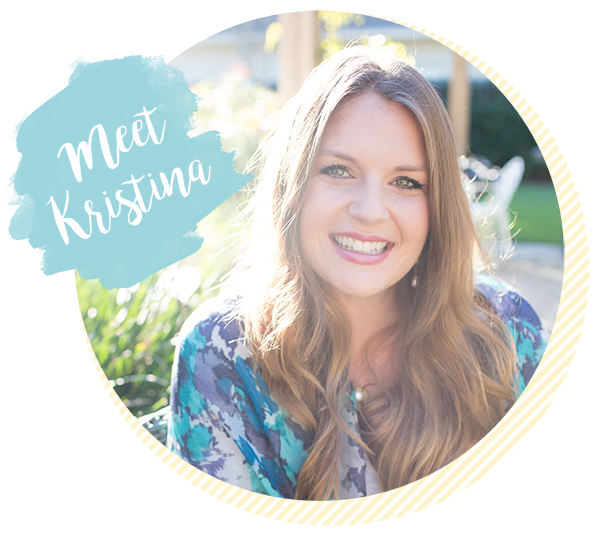 I’ve been super quiet on the blog the last few weeks, because <<spoiler alert>> I’ve been snuggling a newborn! Yep, we had our baby a week early and on Valentine’s Day. 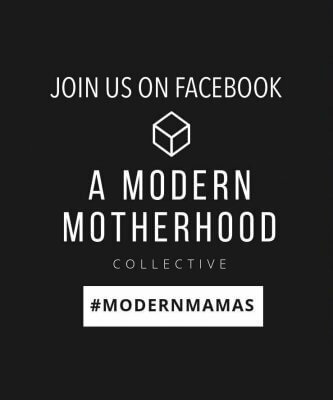 Click here to read our birth story: I had a baby on an elevator! If you follow me on Instagram, you’ve likely already seen our sweet little nugget… because I just can’t stop with the insta stories. When our second child was born, we had a toddler at home. He was 2 years 4 months when baby number two made his entrance and very excited to become a big brother. I knew we’d be away for sometime with the delivery and he would be at home with my mom so I wanted him to be able to celebrate his brother’s birthday. I wanted little brother’s birthday to be a special day for big brother too. 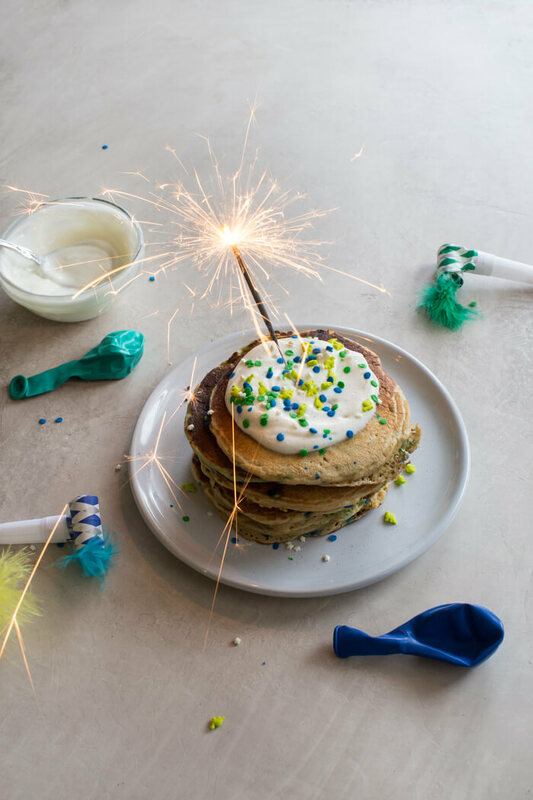 Sooo birthday cake pancakes with sparkler candles and sprinkles for breakfast. Toddler happiness, right? Make these pancakes in advance and freeze them individually before transferring to freezer bag. Microwave frozen pancakes when it’s breakfast time. IMHO, Birthday Cake Pancakes would make a great gift for a new mom too… especially a new mom with kiddos at home. Cake for breakfast… heck yes! 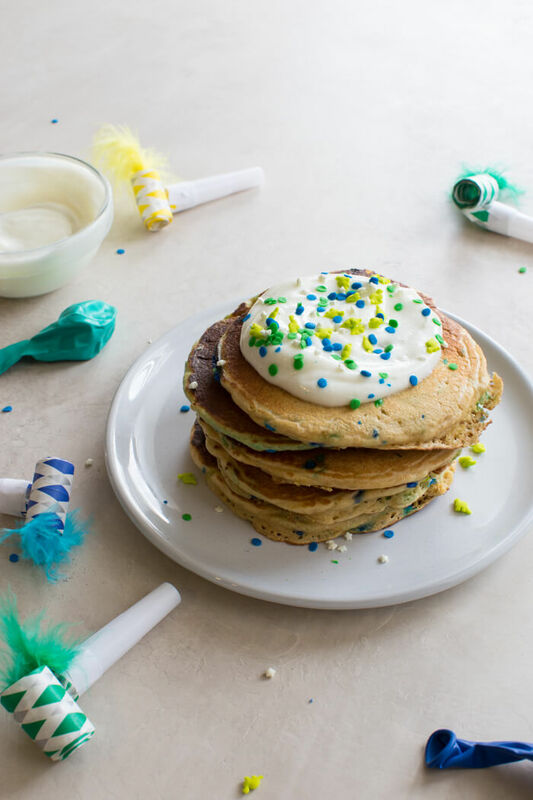 Birthday Cake Pancakes that tastes like cake batter with sprinkles. In large mixing bowl, whisk together flour, baking soda and salt. In separate bowl, whisk together eggs, butter, vanilla extract, butter extract, milk and yogurt. Stir wet ingredients into flour mixture and mix just until incorporated. Coat cast iron skillet with butter and heat over medium low heat. Pour 1/3 cup batter onto heated pan and cook until golden brown on both sides. Congratulations on your new sweet baby! 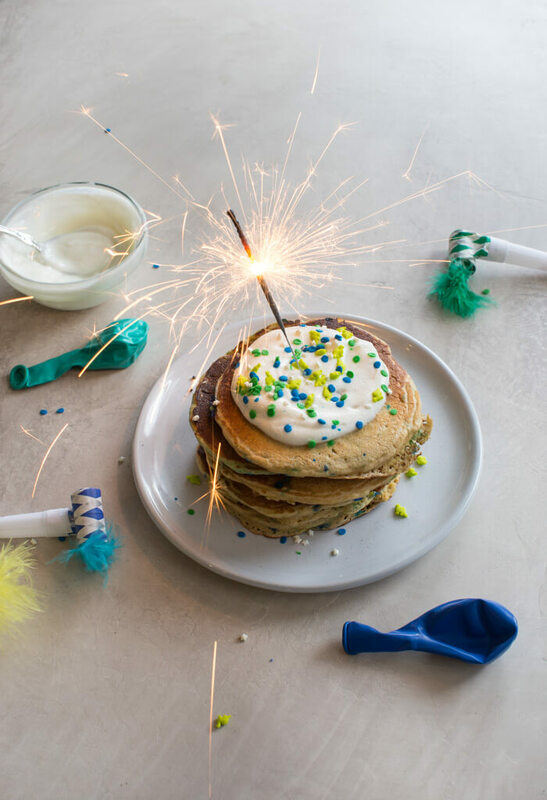 These birthday cake pancakes are such a fun idea! Thanks Jessica!! My son loved them. These are so fun and different, what a great idea! This is a super cute and fun idea! Why not start the day celebrating your birthday. I know my kids would get a kick out of this for sure! Love those sparkly candles. 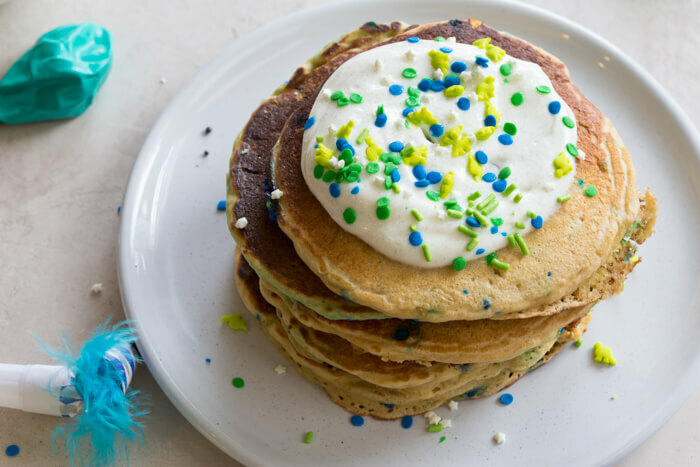 These pancakes are perfect for a birthday breakfast. My kids would love them! Who wouldn’t feel completely special being served these awesome pancakes on their birthday?!?! They are not only delicious, but darling! This is such a great idea!! Perfect for for a birthday breakfast, am bookmarking to use next month! What a fun idea and fun photos too! And by the way, congratulations! Congrats on the new baby! I’ll have to try these pancakes when I have my second little one in the next several weeks. I couldn’t find the birth story though. The link doesn’t do anything. Sounds like an exciting story! Hey Stacy! 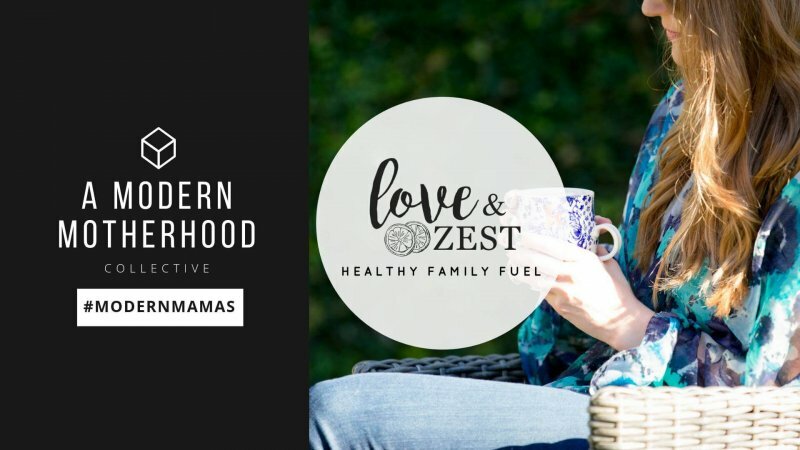 You beat me to it 🙂 The link is live now– https://www.loveandzest.com/birth-story-baby-elevator/ sorry I was working on finishing up that post!